Cheerful Vintage Santa With Toys Clipart. Click the image to view and download the full-size image. 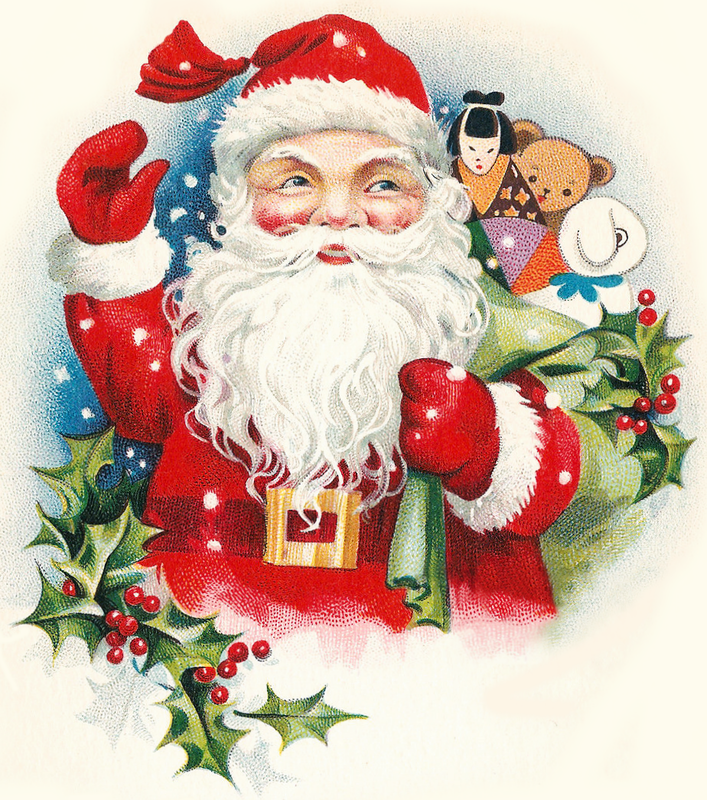 This is a Cheerful Vintage Santa With Toys Clipart image. He has a bear, rabbit, and Oriental doll in his toy bag. He hails from an old 1900 postcard. I’ve cleaned him up, and now he’s ready to bring the spirit of Christmas to your designs. Use him for scrapbooking, crafts, web and graphic design, and whatever else you dream up this holiday season. This entry was posted in Christmas Graphics and tagged antique image, Cheerful Vintage Santa With Toys Clipart, Christmas clipart, free clipart, stock image, vintage image on October 14, 2014 by ClipArtPlace.